The European Union, in upcoming trade talks with the U.S., wants to build on what the two sides achieved on regulatory cooperation in previous trade negotiations from 2013-2016, instead of starting from scratch, EU sources told Bloomberg Law. 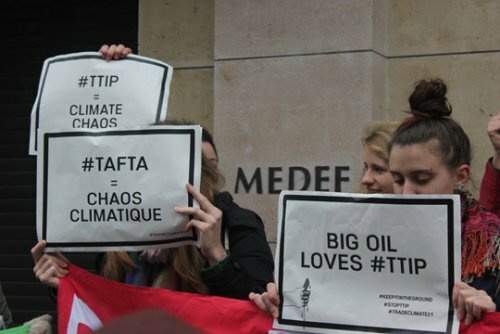 It would make sense to use the prior negotiations for the Transatlantic Trade and Investment Partnership (TTIP), EU sources said. The EU’s reasoning is that it wouldn’t make sense to throw out all the previous work done on regulatory cooperation and start anew, EU sources said. Those earlier talks covered the sectors of chemicals, cosmetics, engineering, medical devices, motor vehicles, pharmaceuticals, services, textiles and clothing, and sanitary and phytosanitary measures. The EU sees regulatory cooperation as very non-political, aligning nuts-and-bolts regulations whenever possible by regulator-to-regulator collaboration across the Atlantic, EU sources explained. It just makes sense to cut red tape in areas such as testing of cars and cosmetics as long as neither side lowers its protection of public health, consumer rights, or environmental standards, they said. But each side should reserve the right to regulate in the public interest, and each side’s regulators should maintain their independence. President Donald Trump and European Commission President Jean-Claude Juncker July 25 agreed to resume trade talks on a smaller scale, while keeping regulatory cooperation as part of the discussion. The European Commission handles EU trade policy on a mandate from the 28 EU countries. U.S. and EU officials are now mapping out the scope of the trade talks—work intended to take about three months. Of course, the U.S. side will have its say about whether it agrees with this approach or suggests another, EU sources said. At their White House meeting, Trump and Juncker agreed to work toward “zero non-tariff barriers, ” in addition to working toward zero tariffs and zero subsidies on non-auto industrial goods.